Our Rhododendron Girls State Director is Michelle Sirbaugh. A native of Berkeley Springs, Michelle has been a member of the American Legion Auxiliary for more than 30 years. She has grown up with the program. Her mother, Irene Weber, served as a counselor for many years before assuming the role of Girls State Director, a position she served for the past 17 years (1997-2013). Michelle attended Rhododendron Girls State as a Citizen in 1979. Her daughter, Brittany, also attended, as well as two of her nieces. For the past several years, Michelle has taught Leadership at Girls State. She is passionate about the program and strongly believes that each young lady who comes with an open mind and willingness to take an active part in the week’s activities will always treasure not only the knowledge learned, but the new and lasting friendships they develop. 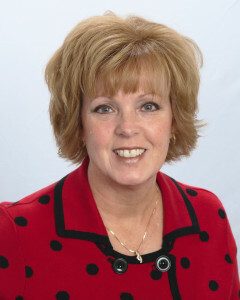 Our Assistant Director, Dr. Rosemary Thomas, is a native of Fairmont. She has been involved with RGS since attending as a citizen in 1985. Through the years, Rosemary has served as a junior counselor, instructor and recreation director before being elected assistant director more than 15 years ago. 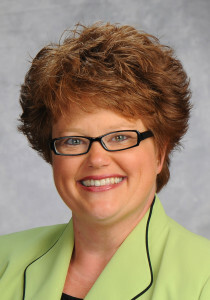 Dr. Thomas is a second-generation Girls State girl, and a third-generation member of the American Legion Auxiliary. She and her mother, Mary Jo Thomas (RGS ’62), remain very engaged and supportive of the program throughout the state and beyond. Thomas is responsible for the coordination of staffing and instruction and also oversees the elections process throughout the week. She believes RGS is among the finest programs available for young women to learn about our government, grow as leaders and engaged citizens and enhance their understanding of the appreciation we must have for our Veterans. Our Registrar is Ann C. Buchanan and she is the citizens’ first and direct connection to the program. 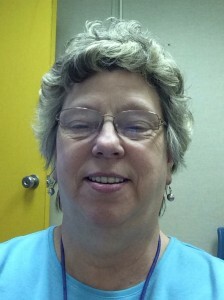 Ann has served as a volunteer at Girls State since 1996 and started as our Registrar in 2001. For Ann it is a pleasure to work with the girls, their parents/guardians, their school counselors, principals and unit volunteers. The program is one of the priority programs for the Auxiliary. Ann joined the Auxiliary more than 30 years ago and is eligible through her husband, Fred, who is a Navy Veteran. In addition to her work at Rhododendron Girls State, Ann has served her local Auxiliary Unit in every leadership position, as well as moved through the ranks of the State Department serving as President in 2006-2007. Ann also serves the ALA on the national level as a member of the Nation Executive Committee and Central Division Girls State and she’s even attended Girls Nation as a volunteer. All three of the ladies work year-round to ensure a successful and awesome experience for our Girls State citizens. During the week, there are nearly 30 other volunteers involved as counselors, party leaders, instructors, office crew and country store workers.